2. The network websites. ABC, NBC, CBS, FOX, etc. – you name it, they are streaming most of their shows on their sites the day after they air on TV. Sure, there are a few ads, but there are ads on cable, too – at least here you aren’t paying to watch the ads. 3. Hulu – Hulu has become a big dog in the world of internet streaming TV. I know a guy who has a Mac Mini hooked up to a projection TV, and his only source of broadcast TV is through Hulu. It looks beautiful on that 100 inch TV, all free of charge…for now. Hulu does provide a “Plus” account for $10 a month that gives you more shows in HD. 5. Share TV – Kinda like Hulu, but they seem to have more video available. Right now they have 14,469 episodes available across 485 television shows. 6. Miro – More of a video platform than a bunch of stations, Miro does have a directory of videos you can watch once you download the video player. 7. Free TV Online – Seemingly combining Hulu, You Tube, Facebook, and any viral video you have ever seen, there is a lot here to comb through. 8. BeelineTV – Through their site, you can watch live TV channels from around the world. Interested in watching a live news feed from Croatia? This would definitely be the site you want to hang out on. 9. BigFileTV – Another site full of tv shows and feeds from around the world. 10. OV Guide – From movies, to TV, to anime, games, adult, documentaries, etc – OV Guide has a LOT of programs to stream to your computer. 11. Choose and Watch – ChooseAndWatch is a multimedia portal where you can watch hundreds of online TV channels and videos. 12. YouTube – I think you know this one already! 13. PCTV – Another web portal with everything under the sun that you either want to watch or watched at some point in the past. 14. TV Web 360 – Channel categories include News, Business, Entertainment, Music, Movies, Sports, Lifestyle, Educational, Shopping, Cartoons, Weather, Government, Religion and General TV. The web site offers over 1000 free Web TV channels. 15. Joost – Ever wanted to see Betty White in Calendar Girl? Want to see a lost episode of Adult Swim? Check out Joost. 16. 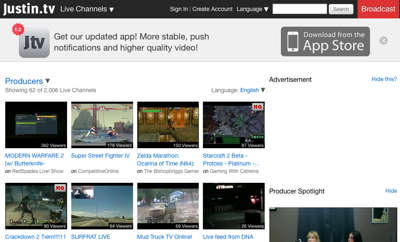 Daily Motion – Like YouTube…kinda. 17. TV Video – All the favorites on broadcast TV are available here. 18. AOL Video – Self-explanatory, but pretty generic. 19. QuickSilverScreen – A good place to watch movies, concerts, and documentaries online for free. 20. My Easy TV – There are more than 3000 television channels you can watch here… way more than you may ever need. 21. TV Lizer – TV Lizer is based on a portuguese website called TVTUGA, this is its english international version. 22. WWITV – A portal to watch over 2,800 live and on demand online television broadcasts. 23. Channel Chooser – With more than 10 million unique viewers monthly, they must be providing some good stuff. 24. TevoOtv – On this website, you will find movie, news, sports, music channels. They are sorted by their respective country, and are easy to access and view using the top navigation menu. 25. Find Internet TV – Missed the Tour de France? You wouldn’t have if you had known about this site. 26. Streamick – Based in Russia, these guys have thousands and thousands of streaming video channels for you to watch. 27. Crafty TV – Another portal for channels all over the world. 28. Jump TV – A broadcaster of live and on-demand sports video over the Internet. 29. Flick Peek – You can watch movies, tv shows, cartoons and anime free of charge. Oh, and you can also watch trailers for upcoming new releases. 30. Mevio – A social media-type community, providing access to the best in new media in audio, video, podcasts, and music. 31. Your Global TV – Seems a little sketchy, but hey – there is a lot here. 32. wfitv – Free internet TV from all over the world, delivered to your computer. 33. Any TV – Seems to require a download, and isn’t for Mac computers, so I couldn’t test it. Anyone? 34. Spreety – As a television guide for online TV, Spreety provides links to legal entertainment choices, including popular online TV shows, classic TV shows, music videos, news, online sports, and movies online. 36. Don’t Watch Me – Anyone ever use this one? Seems simple, but I couldn’t get it to work! 37. TVUNetworks – More live TV from around the world. These kind of sites are cool because if you are from another country, you can still feel right at home while watching your hometown news. 38. Veoh – Seems to be mostly cartoons and short films, but interesting anyway. 39. CastTV – Everything and anything, listed alphabetical for easy access. 40. My Easy TV – Anything you want, anytime you want it. And when I say anything, I mean…anything. 41. FreeTube – Select a genre, and start watching. Easy as pie. 42. SideReel – An entertainment guide and community site for television and film enthusiasts. 43. TV Duck – Like Wikipedia but for TV shows and movies. Links, links, and more links. 44. TV Gorge – Another site that serves as a portal for all things TV. Links leave the site to go to Hulu and Amazon video, for example. 45. TV TubeX – Like the old TV shows? This might be a place for you to hang out more often, M.A.S.H. 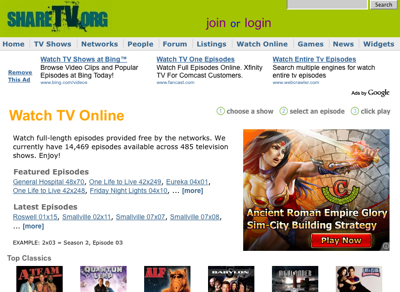 and I Dream Of Jeanie are on the homepage, if that tells you anything. 46. Clicker – Nothing you can’t find anywhere else, but a nice clean site anyway that leads you to the shows and movies you want to see. 47. Watvon – Thousands of free Internet television channels and web cameras. You can watch online streaming TV from any country around the world. Select any theme: movie channels, news videos, cartoons streams, live webcams and many other broadcasts such as sports channels, music clips and religious transmissions. 48. 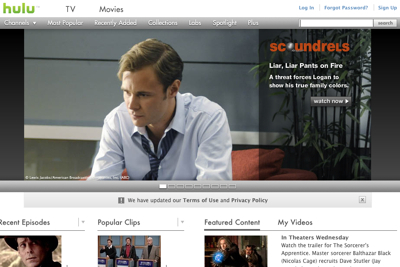 TV Land – The online portal for the TV channel. Good stuff here, if you like TV Land. 50. Gig Streams – Sports, sports, sports, and more sports. Need I say more? If you have gotten rid of cable or satellite, where do you watch TV? Do you have any additions for this list to share with other readers (or myself, if we go the no-TV route!)? Let me know in the comments! You left out hulu.com. They have lots of content including recent tv shows and even some full length movies available. You should check them out. Although I live in a valley and get terrible reception, an antenna works for most local channels. Otherwise, I rely on Netflix for tv shows and movies, which is plenty to keep me occupied. After moving into the mountains, we went the no-TV route and love it. Now when we want to watch a certain show we just add a season to our Netflix queue and watch it in a condensed timeframe. One other option is free-to-air satellite: basically there are tons of unencrypted satellite transmissions that are available with a cheap / used satellite dish and an inexpensive converter box. No monthly fees involved. I use Hulu.com, surfthechannel.com, and the network websites. I haven’t had a tv since August 2007, but I’m totally fine without it. Can still watch Lost, The Office, Gossip Girl, Pushing Daisies… I’m good to go. Wow, what an extensive list. We don’t have cable television or actually … any television, but we do have high speed internet. We just don’t have the time to watch TV! It seems to me that there are three big nuts to crack before people start dropping their cable TV. 1. People need to be able to watch the shows as they happen. You can’t talk about the latest episode of The Office at the office, if it wasn’t run online while everyone else was. 2. Legality… though you can’t vouch for the legality, for mass adoption you’d want it to be very legal. 3. Sports… Do I get to watch the Red Sox game as it happens? If the game is available, is the picture quality of the Patriots game up there with the high definition? You can’t be dropping frames or watching on a postage stamp. You may wanna add Veoh to the list. That’s a great list there. I definitely need to check those out to see which ones could work for me. You might also want to check out your local library and see what their DVD collection has to offer. http://www.tvunetworks.com is one of the best I’ve found for a collection of live streaming English language stations, including some network and cable stations. You can even find some occasional live sporting events on there. I think it is hosted in China, so I don’t know just how legal the feeds may be. Wow! I had no idea that there were so many options for watching TV. We did away with cable both to save money and to stop wasting valuable chunks of our life watching crappy shows on the tube. While I’m sure that these are great options, why not use the time to enjoy the great outdoors instead? http://www.dontwatchme.com has streaming tv links (simpsons, futurama, southpark) as well as daily tv torrents from the major TV sites. All this in one place. My problem is that I can only access dialup service where I live. Therefore it takes forever to watch just one half hour show. They are working on wireless but not there yet. So I guess it’s no TV for me for a while yet. wow, really cool and pretty good. I will have a try. Good way to watch tv without cable. really perfect. a good addition would be http://www.telesurtv.net. of course, this would be for the other half of the world, the spanish speaking one. actually its also in portuguese. but i must say. they transmit 24/7. non stop. and its free. otherwise you can get specific shows on demand. like the latest news, or sports, etc. the offer an audio only stream, as well as two video streams of different qualities qualities. Wow, that’s quite a list. I must say, lately I’ve been using Hulu (The Office, Daily Show, SNL, House) and Netflix WatchNow on my laptop… That being said, I still consider basic cable worth it, especially when combined with a TiVo service. A little known fact is that if you pay for cable TV it’s a minor issue to just split the line and you typically get channels 2-99. Correction to the above. If you pay for cable INTERNET, you can split the line and get free cable TV. Elizabeth – but then what do you do about internet? Zooph – Interesting! I don’t have cable anymore, but does anyone else know if this works? Has anyone tried it? Anyone willing to? David ~ I’ve been doing this for years with numerous cable companys and have never had an issue. Even the cheapest Rat Shack or Wally World splitters work just fine but I usually recommend at least 90dB so that channels 2-4 (the approximate frequencies modems usually want) aren’t all fuzzy. One of my favorites was http://freetube.110mb.com which streams lots of televisoin channels and some really indie content which was why I use it. The biggest boon in not having cable or satellite is so you can at least get big stuff and small indie stuff on the same site. Should add FreeTube and Hulu.com too. yea I like freetube as well. Unfortunately, AnyTV and Joost do not support Linux. There is another service called Zattoo that does but it is not available in the US at present (July 2008). This is a very helpful post! We live in a rural area with only one cable provider at the moment. Needless to say prices are high and I am looking for a way out from under that cable bill. Hulu is by far my favorite – their commercials are short and their content has significantly improved over the last six months or so. Everything that’s on the other network’s websites (ABC, NBC, etc) is already on Hulu 90% of the time which makes it more of a one stop shop. Go ahead and nix the cable – It’s far too expensive and there are so many other great options out there now. Depending on where you live, you cannot get a signal through the antenna … they are switching to digital only. You forgot good ol stealing! I pay 25 a month for high speed cable internet. I believe it was mentioned (by me) about a dozen posts up. this post shows the best video website. i prefer veoh more often cause i dont have any buffering problem on it. Another addition should be http://www.FirstOnMars.com. This site launched very recently & has 600 tv shows available to view for free. 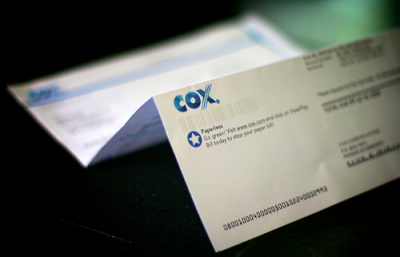 I too am getting fed up with cable–it is way too expensive unless you happen to get into a promotional package deal, but it always expires and then you have to downgrade or renegotiate a new package. Satellite isn’t any better. Watching TV over the Internet is fine if I miss an episode of a favorite show, but I will not watch everything on my computer because I like to kick back in bed to watch TV at night. Renting from Netflix or Blockbuster or borrowing DVDs from the library is good. Especially the library option because I can get a whole season at a time of a TV show from the library and keep it a week. I happen to have a TiVo and I can rent videos from Amazon Unbox, Disney and other places if I want to. It is similar to PPV if you have cable. I also can watch YouTube and other free Internet videos on the TiVo. The biggest thing for me is being able to watch HD stuff since I just got a 53″ LCD TV. Almost anything else looks like crap except for DVDs that I play on my upconverting DVD player. I would like to try the antennae option, but in my area, I believe there are only about 5 channels we can get that way. It may still be worth a try. Having the TV on fewer hours a day is very liberating. I also like to read a good book, or listen to my iPod while I work. I am a very dissatisfied cable customer. Satellite isn’t going to be much better. I checked into it. 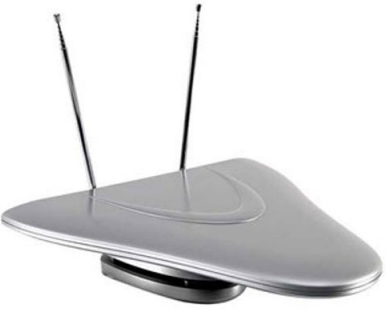 For me, the best options are watching DVDs and switching to the antennae from cable. i’ve been doing this for years as well but today i saw my cable company truck parked up my street and the technician climbed up the post to do some work, and after that my cable channels are gone. what exactly have they done and is there any solution around this? No, and hopefully they caught on to what you were doing and shut it off. That’s theft, and it’s partially the reason everyone else’s bill is so high. How the hell is that theft? That would be like saying you’re stealing a CD from your neighbor because they’re playing it too loud. They’re the ones who piped it into your house. Anyway, they likely installed a filter. Don’t mess with it. Now THAT is illegal. You’re right – not paying for something you are supposed to isn’t stealing. Gee, what ever was I thinking. Uh, he was paying for that wire to be run into his house. How is it his fault if that wire also included TV signals? Easy answer, it isn’t. Go troll somewhere else. Go troll somewhere else? It’s my website. ustream.tv is getting much better. Sidereel.com and Alluc.org are also great ones you haven’t listed here. Yes, you are stealing, Just like the electricy and water pipes connect to your house doesnot mean it is free. You guys talk about the the ghetto people are always stealing, but I bet if you go to the good area you will found a lot of people who do not pay for the extra activities. and yes you are a crook. POWER THAT CAN BE PURCHASED? I can upgrade to high speed with att for a little more a month, but they reccommend the super fast, super expensive plan to download movies and such. How fast do I need to go to be able to watch online tv shows? (I’m not looking to download movies from netflix or anything like that). The blogs always talk about saving money on cable and stuff, but never seem to talk about saving on internet. A little guidance would be appreciated. 1.5 Mbit should be fine but I’d personally go for 3 Mbit if it’s only a few bucks more. Thank you Zooph. I greatly appreciate your advice. EXCELLENT POST!!! I love this because I LOVE ABC’s LOST!!!! I have watched all 6 seasons through their website, and am now completely caught up! I sometimes wonder myself if the cable subscription that I am paying for is actually worth it considering the times that I am actually able to watch TV shows at home. All you need to access internet tv from outside USA is a high-speed VPN service (Proxys don’t work!). I moved abroad from the USA still have complete access to all US TV via the Internet. I live in China where almost EVERYTHING is banned. No Twitter, Facebook, Youtube, nothing. The state’s clear aim is to deprive people of information of any sort. I couldn’t even access the websites suggested above. Ridiculous. WHY would you want to live in China. Any place that restricts human beings as much as that country deserves to be banned, themselves. That is precisely what people over here are doing… “made in China”? Then it stays on the shelf at the store. 300 million US consumers WILL pummel that whacked out communist nation’s economy. I want to get rid of cable, but I love sports. I can watch all the A-team re-runs I want online, but you can’t watch baseball or college football. Until that day I will be a sucker to the man. Would it not be cool for everyone to call or go into cable location and CANCEL their services?! What would happen & how long would it take for Charter & Comcast to do something? Boycott these companies until we can pick what we want on our services. I told my two young teens that if we did not pay for cable this year, they would each get new laptops with the money we would be saving…AND….we would have something of value to show for our dollar!!! If cable and satellite companies don’t come up with some new packages i.e. ala cart so we can choose only the channels we want, more and more people are going to switch to watching tv online. This is great to know because I no longer have cable tv! i have a satellite TV and cable TV at home, both of them are good:~. Great list! I use some of those to watch my favorite shows online these days. letmewatchthis dot com is another great one you should add to your list. Hey, My friend told me about this site this year and I watched all of my Saints games on it LIVE! Helped alot since I live in Southern Maryland. You can acually watch live sports like hockey, nfl, college and all kinds of others. 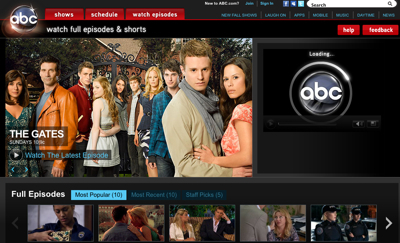 This site also shows some of the more popular shows reruns. Great site. DROP CABLE!! Someone told me to get some kind of “box” from the local tv station so that I could pick up local chanels and not have to have cable…what kind of box is it? I tried to get access to gigstream.com to watch free live football but the site wants me to sign up as a member and pay before I can watch. I am not able to download what I need to watch this “free site”. I appears they are lieing on their site. This web page is usually a walk-through like the info you wanted about it and didn’t know who ought to. Glimpse here, and you’ll definitely discover it. how do you watch sports events like the superbowl online? I’m going to have to share this list with my friend Kevin who absolutely refused to pay for cable. Great, but what is the best? Thank you so much!! Just bought a tv after 3 years of not having one and don’t want to pay for cable. Cheers! Thanks for the great list. Hooking up a Mac mini to a TV to watch Hula is a great idea! I prefer to pay the cable. I can’t stand watching television shows (and they aren’t even same day shows) on the internet. If you like Crickett, Soccer, UFC, TNA, WWE, or MMA, try this site. The videos are split into 10 or 15 min segments. Does this work for both comcast and adelphie? So it you’re skeptical or contemplating making a change, go for it, there really isn’t much to get used to except for the extra money in your budget. Remember once you save it, don’t be silly and find another way to throw it away! BTW, anyone have more information about where to watch sports other than ESPN 3? I just want to specify-the NBC-based sports channel I was referring to that was on the free channel 5.3 was Universal Sports. They are still listed as 5.3, but it costs money from Comcast now. I have access to wireless Internet in my home. Is there a way to watch free television through wireless? What if you don’t even have internet? What then? I’m on a very tight budget and bored out of my mind! Great information about the sites. However, how to do go about it? My tvs don’t have internet connections & browsers. Do you have to purchase a computer/special box for each TV? Suggestions? Will Wi-Fi be sufficient or do you need a cable running to each device? @Ruby If you’re not willing to watch the stuff on your computer, depending on your TV and computer, there might be outputs and inputs you can use. For example, I have one laptop hooked up to an HDTV via HDMI and another hooked up via S-Video. Channel separation on over the air channels is accomplished by skipping at least one channel between two analog stations’ frequency allocations. Thanks. This is an awesome list! Thanks for sharing this out! I am currently trying Hulu and Netflix. But was looking for a few new links. Love keeping the money the $155 a month in my pocket! I bought The Roku streaming player and a wireless router and have been using it for Netflix. Now I am cutting off my expensive cable and going with an antenna. Will be learning a step at a time. Wish me luck! Who knows, I may even be able to illiminate Hulu, Netflix, and Amazon Prime. As well as Dish. As far as I’m concerned, If it streams through my Internet, I Own it. Until otherwise informed. livetvcafe.net is a good site for live cable channels. This is a great list. This is the way that TV is going to go, just like IHEARTRADIO. They should learn from them. I got rid of my cable tv, and bought two Roku 3 streaming players and cut a 100.00 a month off my cable/internet bill. I love Netflix, and Amazon.com for movies. I can get up to several hundred channels of free Roku programing. I also hook up my laptop to tv for live sporting events. Simple.tv is a website that allows you to record shows from your antenna onto your hard drive. It’s about $150 for the device and about $150 for lifetime service. *We are re-evaluating the Joost.com purpose and services. Great article, I dropped directv and got me a Robu3,signed up for Netflix and HuluPlus,I have comcast wireless internet and pay $5.00 for their espn package to watch their sports. Has anyone checked out firstrowsports.uk and is it a safe webb site. you have to pay to watch tv on the ABC website and most of the others. The good old fashioned antenna Rocks! Very helpful money-saving tips. Television is one aspect of your life that you can control or manage to give way to bigger savings or better alternatives. If you do have internet now, you can definitely say goodbye to cable or satellite. Take a look at freebee-TV.com with 600 channels, including over 25 UK channels and 45,000 videos on demand. You Can simply stream this to a big screen TV. You can also record your favourite shows and watch in HD. ALL FREE! You did not mention FTA(Free to Air) dvb recievers. There is a lot of free channels on satellite. A ku band FTA reciever and dish will cost you about $200.